Let's first establish a few facts here. When it comes to OC department I was given my own fair share with books. I like reading book series a lot, and I personally like to think that all sequels must be thicker than its predecessor. Next, cover arts and designs are a big deal for me, every dimensions: author branding, layouts and even logo sizes and placements must be consistent. When it comes to high fantasy I must only buy the mass market paper back editions. I liked it that way because they would look good on my shelf. 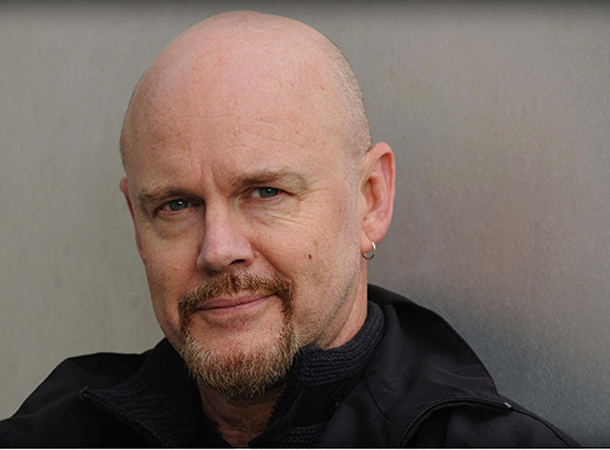 Now, take all that and add up Tad Williams to the equation. The result would be just utter disaster. 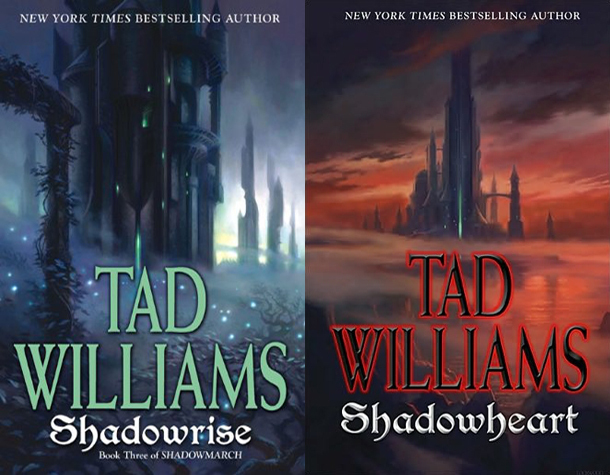 I first discovered how brilliant Tad Williams was when I got my self a copy of his Shadowmarch. 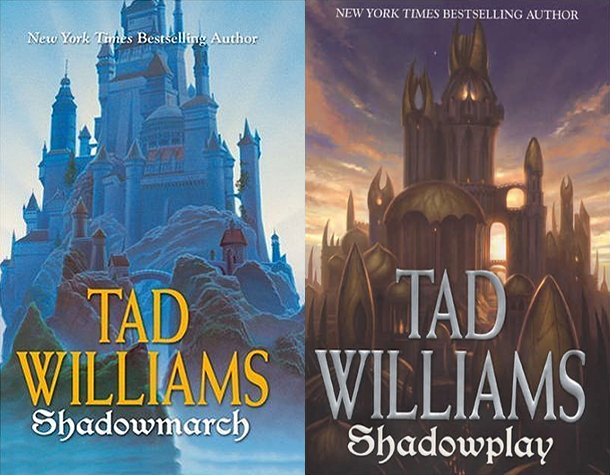 The book is the first book in his Shadowmarch Tetralogy that was released way back in November 2004. The story revolves around Southmarch and the beautiful lives of its citizens. Sounds cheesy, right? But taking a few steps back you will see that this beauty is actually surrounded by darker forces that is trying to swallow it. From up North is a grey region where every sane human wouldn't dare cross. Many people call it Qar and it is where most bizzare and unearthly faeries live. They are not the pixie dust kind, but a seemingly brutal kind that is ready to take the lives of any human being who goes straying away in their territories. From the south comes another dangerous pack of enemies, the human kind. Xis is the name of this another nation with a different kingdom of its own. Its people are ruled by the insane and brutal Autarch who calls himself a God. Behind their godly and priestly garments are the lustful desire for flesh, blood and power. From all these dangers the Eddons, current rulers of Shadowmarch, must focus all their attentions to. If they wanted their kingdom to survive, they must fight back with the little force that they have. In a backdrop of a good life and peaceful living is an impending doom that would strike from both directions and they will have nowhere to run to but into the safety of their own kingdom. Shadowmarch was one of the best high fantasy novels that I have read so far despite of some similarities with other novels -- Games of Thrones, Lord of the Rings and etc. It's so good it made me go against my obssessive compulsive tendencies that even Harry Potter couldn't chase away. I have to swallow my pride buying the books in the series despite knowing the next books are a lot thinner compared with the last. The cover arts were a little too similar, but I cringe every time I see the varying dimensions of the design, logo and even author branding. I have to buy the first two books in mass market paperback editions while the last two in trade paperback -- I wanna scream -- just because I can't wait anymore for the mass market in order to read them. I have to suffer all these just because the story are as good as I wanted them to be. Shame on you Tad Williams, you just made this unwilling reader love you to the point of losing his personal preferences.